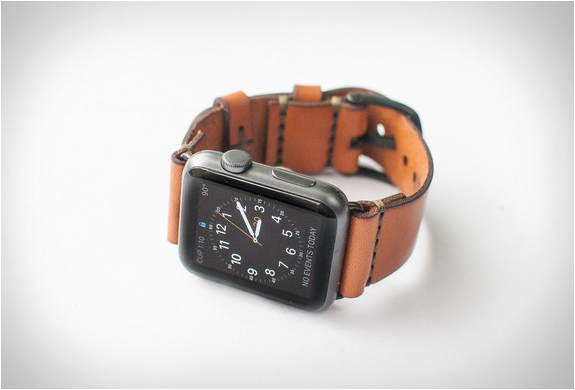 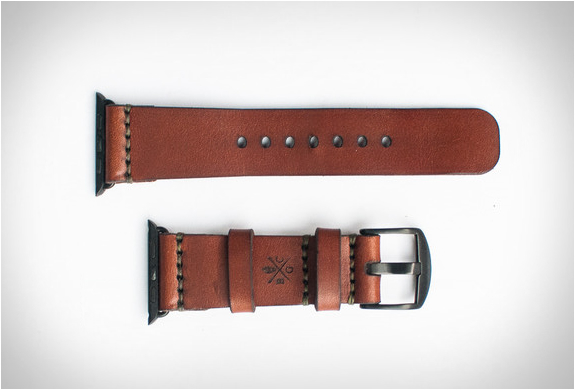 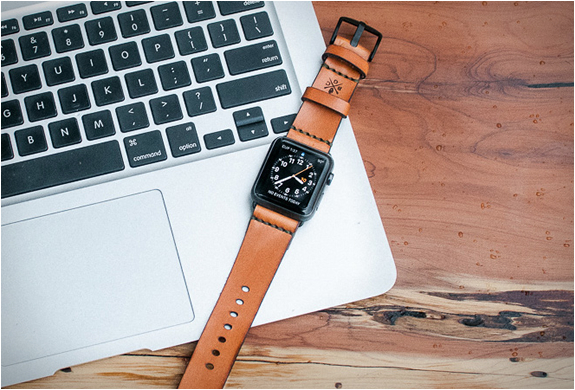 Give your Apple watch a vintage feel with this stylish leather strap by Bexar Goods, a small team of craftsmen based in Bexar County, Texas. 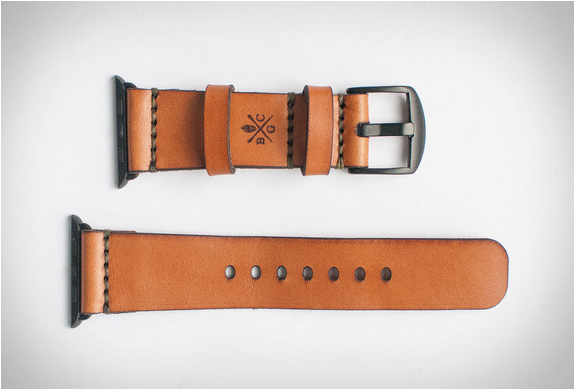 Crafted from 4 ounce American Bridle Leather, the elegant watch strap is saddle stitched and ages beautifully. 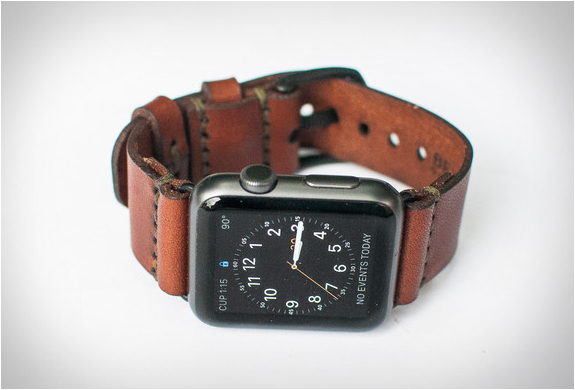 It includes hardware lugs to slide nicely onto your Apple watch. 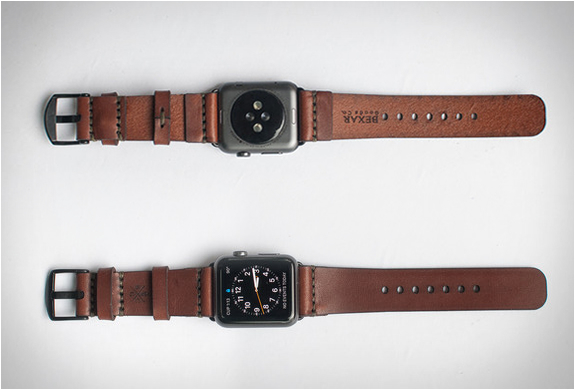 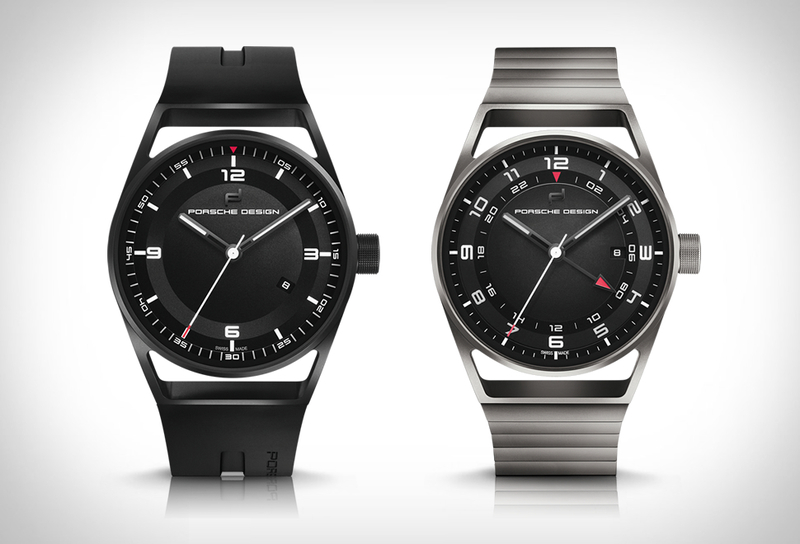 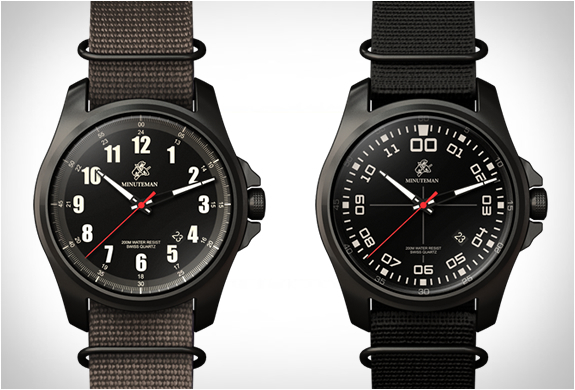 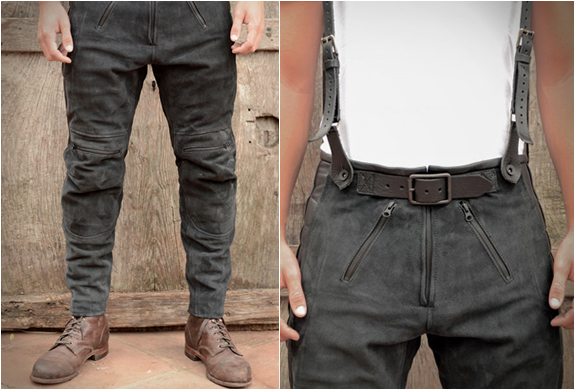 You can choose from two leather colors, medium brown or tan, and choose your watch-matching aluminum hardware lugs and buckle from three colors, space grey, aluminium, or stainless steel.